Get outstanding guidance from the world’s most trusted reference on OB/GYN ultrasound. 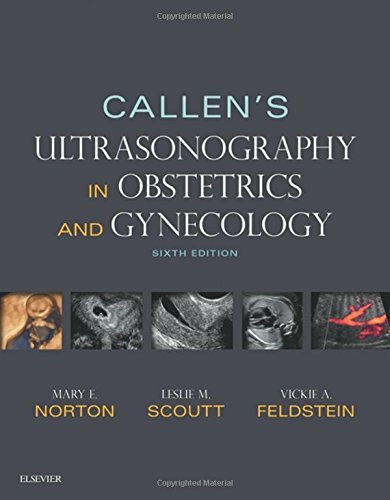 Now brought to you by lead editor Dr. Mary Norton, Callen’s Ultrasonography in Obstetrics and Gynecology has been completely and exhaustively updated by a team of obstetric, gynecologic, and radiology experts to reflect the most recent advances in the field. It addresses the shift in today’s practice to a collaborative effort among radiologists, perinatologists, and OB/GYNs, with new emphasis placed on genetics and clinical management. This must-have resource covers virtually all aspects of fetal, obstetric and gynecologic ultrasound ― from the common to the rare ― in one essential clinical reference, allowing you to practice with absolute confidence. Expert Consult eBook version included with purchase. This enhanced eBook experience allows you to search all of the text, figures, images, and references from the book on a variety of devices. You’ll also access 20 real-time ultrasound videos of the fetal heart and other structures.